Save On Classic Car Insurance! We know that when you own a classic or collector car, you want to make sure you're fully covered with the best insurance. You're passionate about your precious classic antique, vintage or collector car. She's your baby. Your pride and joy. The result of countless hours of care and attention. You want to make sure your vehicle is more than adequately protected - and that you're not paying too much for inadequate coverage. For over 40 years, ThinkInsure has been proudly providing the best Classic & Antique Car insurance coverage at the cheapest rates in Ontario. See why so many drivers choose ThinkInsure as their classic car insurance broker. Savings : Bundle and save. We can help you with all your insurance needs. Bundle your Classic or Antique Car insurance with your regular Car or Home insurance and save hundreds! Selection : We give you lots of choice. 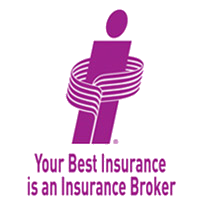 As an insurance broker we can get quotes from multiple insurance companies getting you the best coverage at the lowest rates all over Ontario including major cities like Toronto, Ottawa and Hamilton. Get the best insurance coverage for your Classic Car. Service : We value your business. Customer service and satisfaction is a top priority for ThinkInsure. We are car lovers and our team of insurance experts is there to help with all your insurance needs. Made Easy : It's quick and simple. We make the process of buying insurance in Ontario easy. Request a quote online OR call 1-855-550-5515 now and let our team of insurance experts help make sure your beauty covered properly so you can enjoy it! If you do own one or more Ontario classic cars - and that includes vintage, antique, and collector cars - it pays to get your insurance through ThinkInsure. We'll make sure you have the essentials, the extras and the discounts available by having your car in a specialized insurance program. Plus, you'll be supported by classic car insurance specialists who know how to properly handle any claim you need to make. It's all part of the ThinkInsure difference. How Does Classic And Antique Car Insurance Work? Many classic car enthusiasts make the mistake of covering their collector car with standard auto insurance without realizing they're both getting inadequate coverage and paying too much for it. When it comes to insuring your classic car, at ThinkInsure we deal only with those who specialize in classic car insurance. A company that insures vehicles treated as collectibles typically offers rates much lower than companies that provide insurance for regular daily-use vehicles. A company specializing in classic and collector car insurance is able to customize a policy to your unique needs as an owner of a collector vehicle. This results in better coverage for you than what's offered by standard auto insurance policies. For example, unlike conventional coverage, in the event of a covered total loss, an agreed value policy such as one offered by a specialized classic car insurance company means you will receive the entire amount for which you have insured your car, less any deductible. What's more, ThinkInsure's insurance experts are extremely knowledgeable about the collector car market and know the vital importance of determining the proper value for your classic or collector vehicle. They know how to quickly and efficiently take care of claims on damages to collector cars, even offering dedicated on-staff parts specialists able to track down the precise replacement parts required. Discover why Ontario classic, antique and collector car owners are turning to ThinkInsure for their insurance needs. Click now to request your insurance quote OR call 1-855-550-5515 to talk to an insurance specialist. Songs, movies, books, and television are filled with vehicles representing the great motoring revolution that's helped define society and culture since the turn of the last century. While the average person may seldom see and experience firsthand such marvels of engineering and design, for a collector like you, owning, preserving and protecting an antique car or classic stock vehicle is often more than a hobby. It's a passion. A lifestyle. How do you define an antique car or a classic stock vehicle? Essentially, if it was built from 1900 to 1972, it likely fits the bill. Whether you like to show off your prized possession or prefer to keep it safe and secure for your eyes only, care and protection of your antique or classic stock vehicle goes without saying. Some people will suggest that if a vehicle is 20 or 25 years old, it is automatically a classic. (Just as people believe that any piece of furniture or art over 50 years old is automatically an antique.) This isn't quite true for vehicles, and there's good reason for it. Some cars are considered instant classics, and attract loyal followings that help make them collectibles. Particularly if these cars are made by, say, Ferrari or Lamborghini, for example. Or the vehicles could be manufactured by mainstream domestic automakers but are limited production vehicles - such as the Dodge Viper or Plymouth Prowler, to provide just two more examples of vehicles considered collectibles, even if they reflect model years of 1990 or newer. As a rule of thumb, eligible model years are vehicles 15 years old or older. However, vehicles 0-14 years old can still be eligible, particularly in Ontario (as well as British Columbia and Nova Scotia). Helping define exotic vehicles are characteristics such as cutting-edge design, technology or performance - as well as production numbers. Generally, exotic vehicles have annual production numbers of 3,000 or less. And when it comes to what's considered a special interest vehicle, these have rare features or come equipped with special edition packages that avid hobbyists consider collectible. Depending on their use, contemporary collectibles may qualify for money-saving coverage that offers the proper protection. Modified Vehicles, including Street Rods, Replicas and Lowriders: If, for example, the paint job on your vehicle cost more than $10,000, it would fit into this category. Trucks and other Utility Vehicles: These collectibles are gaining in popularity. And to qualify for special coverage, they can no longer be used for such purposes as hauling or towing. They're too old and precious for that. Retired Commercial Vehicles: Bring us your old and pampered fire trucks and buses and tow trucks and such. As a classic and large vehicle, appropriate use and proper storage are key concerns. Trailers: These fall into two categories: the vehicle trailers designed to carry a collector vehicle, and street rod trailers typically pulled behind street rods and customs. Vehicles being actively restored: With these soon-to-be-shining specimens, good photographs and restoration details are vital. Military Vehicles: For such vehicles, coverage requirements will include being from 1985 or older, garaged, not used off-road or in battle re-enactments and, of course, with armaments removed or disabled. Tractors: Collectible insurance coverage criteria include being from 1980 or older, restored or in excellent original condition, garaged, and not put to any utility use. Whether you're looking for what you consider classic, vintage, antique, old, or collector car insurance, discover why Ontario classic and collector car owners are turning to ThinkInsure for their classic car insurance needs. Request your classic auto insurance quotes today! 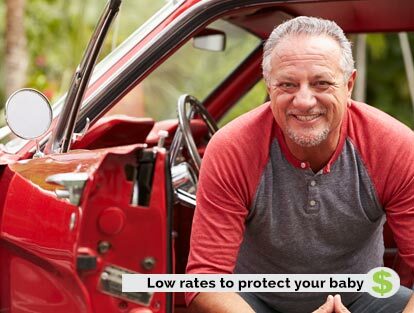 Click now to request your insurance quote OR call 1-855-550-5515 to talk to a Classic Car insurance specialist.